National Cartoonists Society members have chosen the winner of the 2017 NCS Reuben Award for “Outstanding Cartoonist of the Year”. 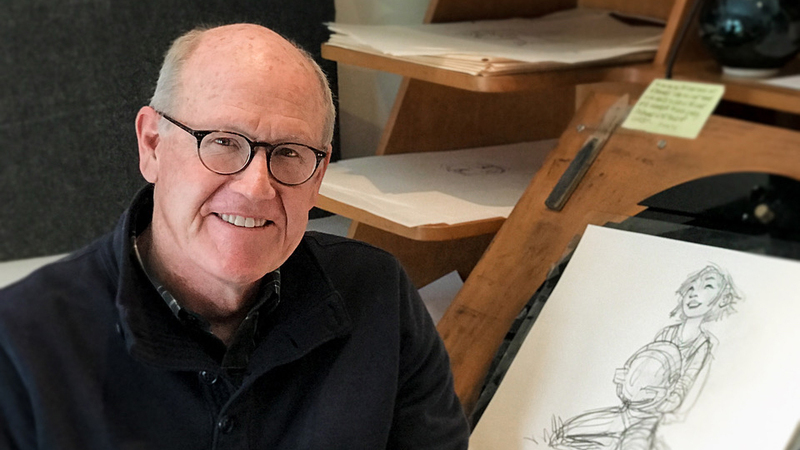 Ballots were sent out to all voting NCS members last April, and the Reuben Award was presented to animator Glen Keane at the 72nd Annual Reuben Awards dinner on May 26th in Philadelphia, PA.
GLEN KEANE is an American animator, author and illustrator. Keane was a character animator at Walt Disney Animation Studiosfor feature films including The Little Mermaid, Beauty and the Beast, Aladdin, Pocahontas, Tarzan and Tangled. 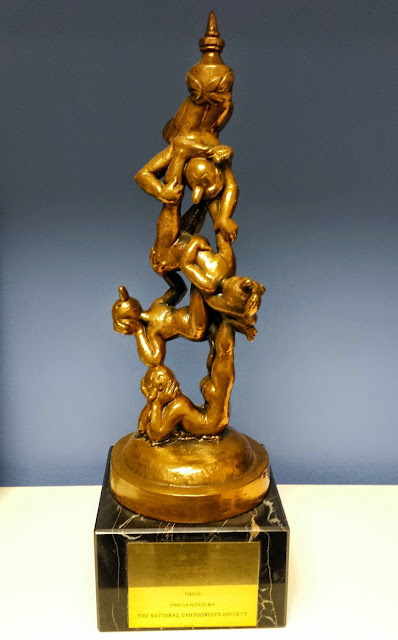 Keane received the 1992 Annie Awardfor character animation, the 2007 Winsor McCay Award for lifetime contribution to the field of animation and in 2013 was named a Disney Legend. In 2017, Keane directed Dear Basketball, an animated short film based on Kobe Bryant‘s retirement poem in The Players’ Tribune. At the 90th Academy Awards, Keane and Bryant won the Academy Award for Best Animated Short Film for their work on Dear Basketball. The other nominees were cartoonists Lynda Barry, Stephan Pastis (Pearls Before Swine), Hilary B. Price (Rhymes With Orange), and Mark Tatulli (Heart of the City and Lio).